Global Diving and GUE Seattle remove anchor blocks and cable left by protesters - Global Diving & Salvage, Inc.
A dive team from Global Diving & Salvage, Inc. worked with GUE Seattle from the DSV Prudhoe Bay to remove several concrete anchor blocks and mooring cables. 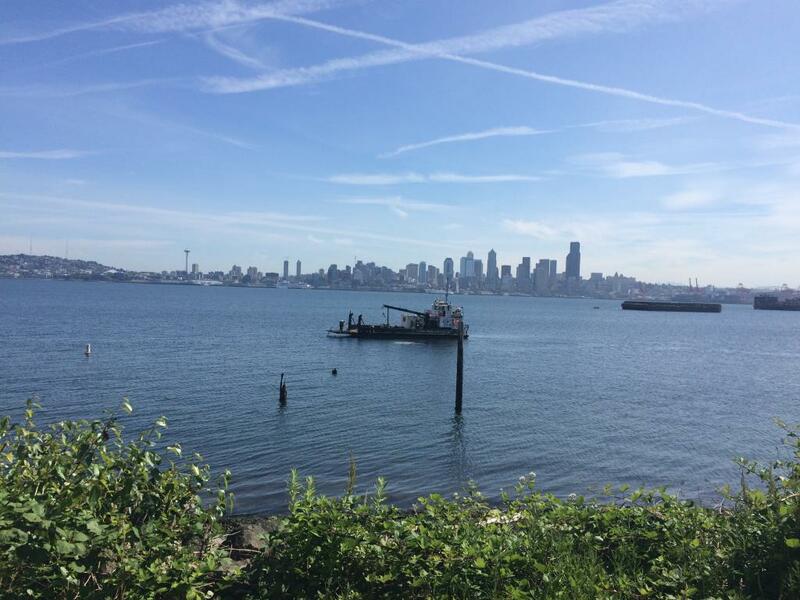 The materials had been used as anchors by an environmental activist group when they moored a protest barge above a popular Seattle area dive site, inadvertently causing damage to the site and the marine environment. The cleanup project was completed successfully. Additional pictures and articles about the cleanup are available at GUE Seattle and on the West Seattle Blog.